Demand for residential HVAC equipment depends on residential real estate construction, home sales, and upgrade and replacement of existing equipment. Our products provide a high level of performance that meet strict government energy requirements for efficiency, thus offering the OEM and homeowner years of trouble-free operation with a high payback. 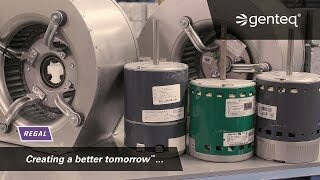 We have over 100 years of expertise in providing innovations to the HVAC industry with game changing solutions such as the industry’s first ECM motor to axial and radial flux technologies that provide ultra-high efficiencies. 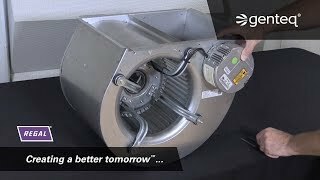 Our integrated fan and blower motors incorporate advanced technologies that provide for quiet and efficient operations delivering a high ROI. A major water heater manufacturer was looking to upgrade its existing combustion blower to an ENERGY STAR® high efficiency system. The manufacturer desired a unit with enhanced maintenance that would reduce downtime, and provide communications for better control and diagnostics. It also wanted a pre-mix blower to reduce NO2 emissions and deliver an optimum air-fuel ratio. 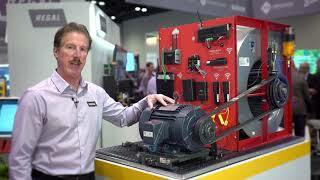 Take a deeper dive into the DEC Star® blower's technical components that makes this motorized blower a unique system. Are you prepared for FER? 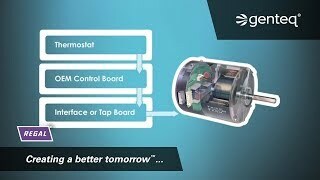 ECM (electronically commutated motors) technology could make the difference to meet these new standards. Tour the Regal booth at AHR 2016 to discover commercial HVAC solutions. 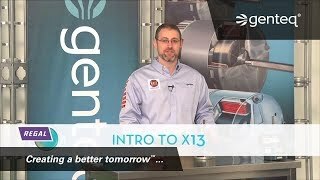 Genteq X13 constant torque ECM provides the efficiency of a variable speed ECM with the simplicity of a multi-speed PSC motor, used predominantly in air handler and package system applications. 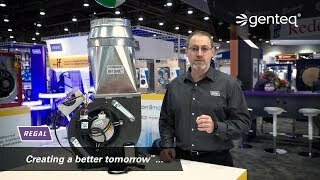 In this video, you will learn the features and benefits of the Evergreen IM motor including energy savings, improved comfort, and improved Indoor Air Quality. 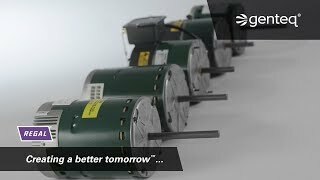 The Evergreen® line of motors are high efficiency ECM retrofit motors built for HVAC applications including the replacement of PSC motors and constant torque ECM motors. Motors installed in the HVAC systems of the guest rooms of the Westin Copley Place Hotel in Boston, MA help to create a quieter, more comfortable, and more energy-efficient environment. 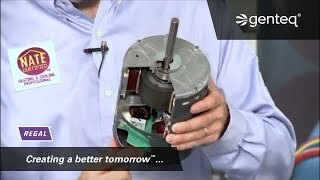 In this video, we cover the introduction of Genteq OEM ECM Variable Speed Motors and their HVAC applications. With the Evergreen InTune WIFI Programmer you can adjust motor speed wirelessly, while the motor is running, to dial in system performance. 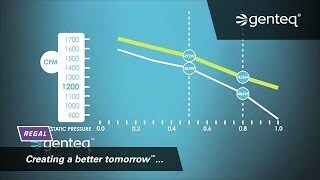 In this video, we cover Variable Speed Constant Airflow ECM Technology and how it relates to HVAC systems. 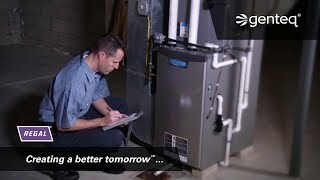 What Can Regal Bring to Your HVAC Application Needs? 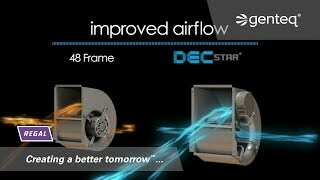 The DEC Star® blower system is built from years of innovative engineering. Introduction to and history of the Genteq® brand of products. Are you prepared for FER? Regal has more than 20 years of experience engineering and manufacturing ECM (electronically commutated motors) products. Is there An Easy Way To Troubleshoot V-Belt Problems? What Are The Most Common Installation Problems? 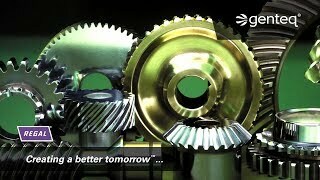 Regal manufactures high quality motors, controls, and power transmission products for a myriad of industries and applications: from high efficiency ECM and PMAC motors to blowers with embedded advanced technologies. 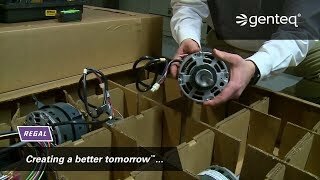 The reliability of our power transmission, bearings, and drive components guarantees years of trouble-free performance in the most demanding HVAC applications. Heating, ventilation, and air conditioning (HVAC) equipment is typically installed in new buildings to regulate climate and provide ventilation. Replacements of existing HVAC equipment is another major market for industry operators. Over the past five years, as disposable incomes increased, consumers had more funds available to invest in home improvements, which included HVAC upgrades. In addition, government regulations, tax incentives and realized savings from replacing old HVAC systems with new energy-efficient equipment led to increasing demand for HVAC replacements in the past five years. Residential construction is a key market for industry products because new homes are typically built with related systems. Therefore, an increase in housing construction boosts demand for industry products. The value of residential demand is projected to increase through 2021. Regal actively supports and participates in industry leading trade associations, such as the Air Conditioning, Heating, and Refrigeration Institute (AHRI) and the American Society Refrigeration and Air-Conditioning Engineers (ASHRAE), that promote the residential HVAC industry and its member organizations.